Everybody knows this classic — but it’s made more fun in a sing-along version! 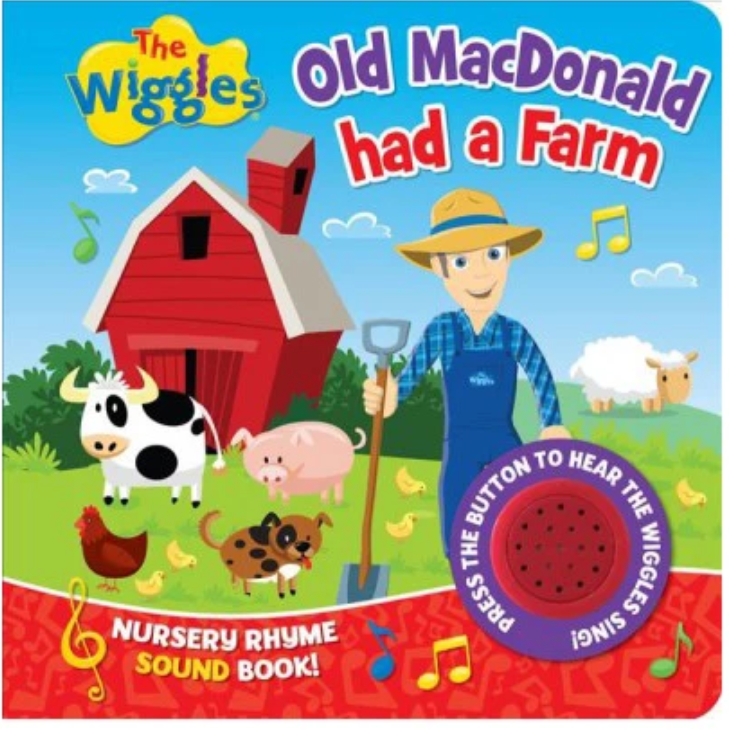 Push the button to hear the melody, and encourage your little one to sing along and learn the words. We know that the main photo in this post shows a different version of this book, but that one is now considered ‘vintage’. :) Get this new version now and start ‘ee-aye-ee-aye-o’-ing your way to a happier bedtime routine. Touch-and-feel elements always add a little bit of pizzazz to story time. 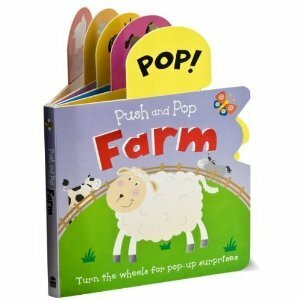 With flaps that fold back to reveal all sorts of adorable surprises, and pop-ups that make stuffed versions of a cow, pig, dog, and more suddenly appear, it’s perfect for cuties who love friendly farm animals! Pick up this interactive book here. Okay, okay — maybe penguins don’t fit in with the usual farm animal crowd. But they bring the same kind of love and adoration from your little ones, and this one encourages them to love music! Filled with an abundance of zany and wacky illustrations, this adorable book follows a little penguin as he asks all of his animal friends to sing him lullabies. This cute story is all about the animals: there is a spot to press down to make a new animal pop up at the top of the page! It is very sturdy and much more durable that the usual pop-up book, so you can get multiple years of loving before it starts to lose its ‘pop’. Our kids loved that as they got old enough and gained a little dexterity, they could make the animals pop up all by themselves! What’s better than creating sweet farm animals friends that you don’t have to get up at the crack of dawn to take care of? 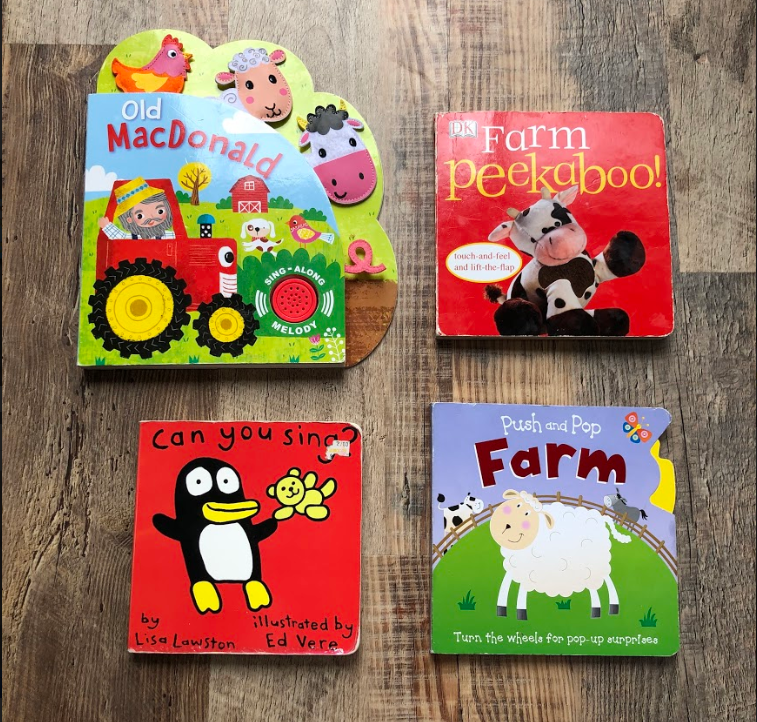 We hope your little ones love these stories as much as ours do! Let us know in the comments if you have any cow or pig-inspired stories we need to be sure to grab!